Synopsis: Jamie Valentine is the wildly successful author of self-help books advocating transparency in every relationship. But when her widowed mother passes away unexpectedly, Jamie discovers her own life has been based on a lie. Angry and deeply betrayed, she sets out to find the truth—which may be in a small town on the Chesapeake Bay. Cutting her most recent book tour short, Jamie books a room at the Inn at Sinclair’s Point, just outside St. Dennis. My take: I read and enjoyed the first book in the Chesapeake Diaries series almost five years ago. For one reason or another I didn’t make it back to the series until the latest – That Chesapeake Summer. Read the synopsis – it tells you all you need to know. I liked this ninth installment a lot. It was easy to sympathize with Jamie. How shocking it must have been to find out that your life is not what you thought on the most basic level. She set out to learn the truth and ended up at Dan Sinclair’s inn. Dan is a single father of two teenagers and he runs the Inn. He’s had his guard up since his wife died 8 years earlier. 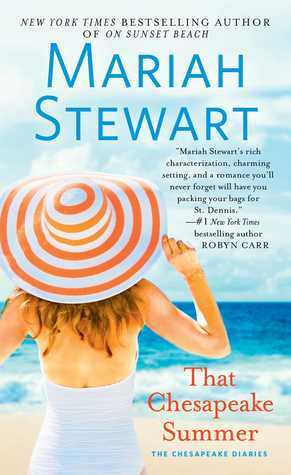 His defensiveness wore on me but as the novel went on Mariah Stewart brought me up to speed on what had made him that way. Will he be able to trust Jamie enough to invite her into his life? In Jamie’s search for the truth she meets many of St. Dennis’s citizens. She likes them and begins to feel that she could fit in. Will the truth change that? What will the facts do to her reputation as a self-help author whose books deal with honesty in relationships? That Chesapeake Summer is #9 in the series but it can stand on its own. I didn’t feel I’d missed key information by not reading since the first book. I liked the setting and the characters and was happy with how Stewart brought the novel to a close. This would be a good book to read this summer – at home or the beach. 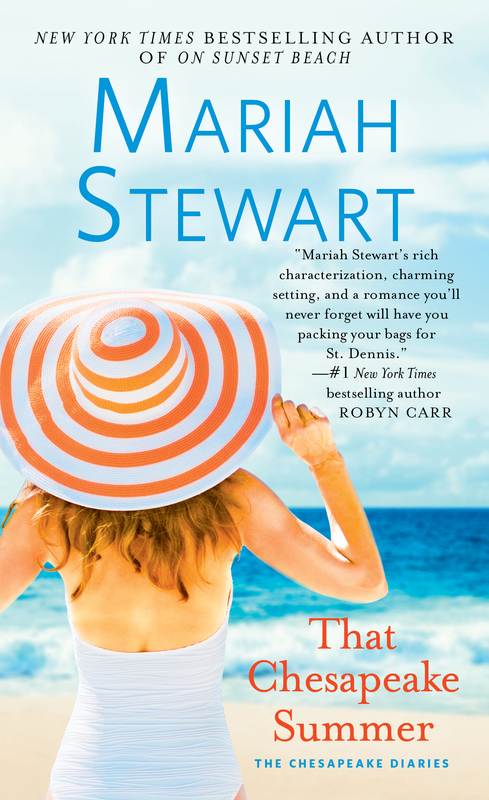 ABOUT THE AUTHOR: MARIAH STEWART is the award-winning New York Times and USA Todaybestselling author of numerous novels and several novellas and short stories. A native of Hightstown, New Jersey, she lives with her husband and two rambunctious rescue dogs amid the rolling hills of Chester County, Pennsylvania, where she savors country life and tends her gardens. Visit her website at www.mariahstewart.com, and like her on Facebook at www.facebook.com/AuthorMariahStewart.